Kellogg Community College is the only community college in Michigan and one of fewer than 20 colleges and universities in the state to be listed on the 2014 President’s Higher Education Community Service Honor Roll, the highest federal recognition an institution can receive for its commitment to volunteering, service-learning and civic engagement. It is the second such recognition for KCC, which also made the Honor Roll in 2013. More than 760 higher education institutions nationwide were named to this year’s list, which is administered by the federal Corporation for National & Community Service to recognize institutions that commit to achieving meaningful, measureable outcomes in the communities they serve. KCC was named as a recipient in the General Community Service category, which recognizes “institutions that have made a commitment to improving the quality of life of off-campus community residents, particularly low-income individuals,” according to the CNCS. Kate DeGraaf, service learning manager at KCC, said the recognition highlights the College’s continued commitment to educating service-minded students who are not only mindful of their communities’ needs but are also adequately prepared and equipped to address them as they graduate. Beginning in 2012, a service-learning endorsement requiring at least 15 hours of service-learning experience became a requirement for every KCC graduate pursuing a degree outside of the applied sciences, and hundreds of KCC students serve thousands of hours in their communities each semester as part of their service-learning studies. The College also hosts several civic engagement and awareness events each year, including three Bruins Give Back volunteer events at locations around Battle Creek and one Volunteer and Civic Engagement Fair held on campus each semester. 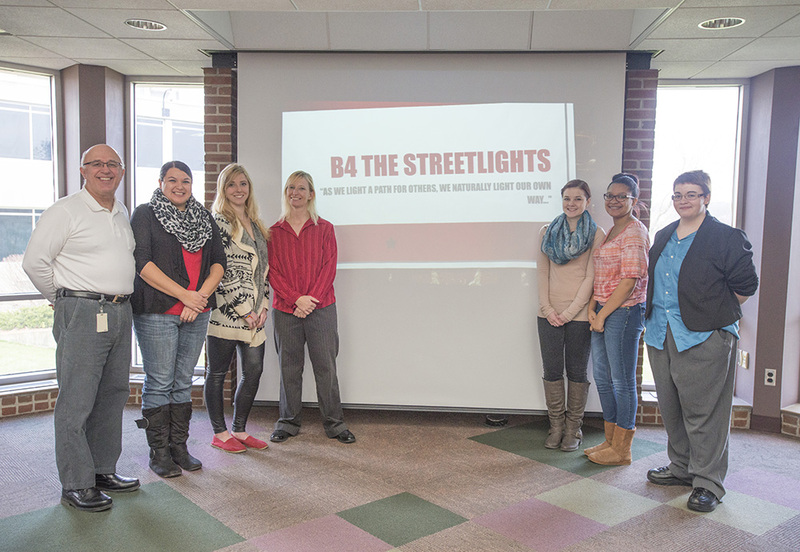 This fall, students from one SERV 299 course – a dedicated service-learning course in which students are required to serve at least 100 hours – with students from Albion College and Western Michigan University won a $1,500 grant from Michigan Campus Compact to develop an after-school program for Calhoun Community High School students called B4 the Streetlights. The program will begin this spring. The CNCS has administered the Honor Roll designation since 2006 and manages the program in collaboration with the U.S. Department of Education and the U.S. Department of Housing and Urban Development, along with the American Council on Education, Campus Compact and the Interfaith Youth Core. For more information about community service or service-learning initiatives at KCC, visit www.kellogg.edu/service-learning or contact Service-Learning Manager Kate DeGraaf at 269-965-3931 ext. 2211 or at degraafk@kellogg.edu. For more information about CNCS Honor Roll eligibility and to view the full list of Honor Roll awardees, visit www.nationalservice.gov.